Well, I have not stopped eating for the last three days. Thank you to those of my family members that have helped contribute to the constant eating by leaving so many leftovers at my house! 🙂 The menu for this week is on the lighter side since I am sure everyone has had plenty to eat the past few days. 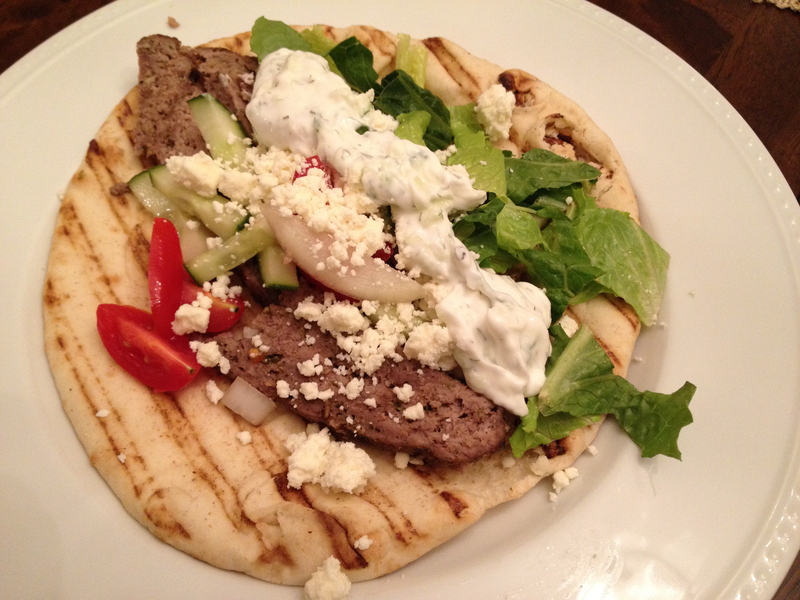 The Diner -Style Gyros really were close to what you would get at a diner, minus all of the oil and grease! I thought they were better the second day. I only sliced half of the loaf the first night and then the second night it was easier to slice even thinner. Don’t skip out on the tzatziki! Greg practically eats it with a spoon. (Okay he DOES eat it with a spoon). You can buy it at the store, but it literally takes about 5 minutes to throw together. The Holidays are officially here so I will start including some of our favorite Hanukkah and Christmas recipes! Enjoy the week!